Before 2003, Rabbi Harry Brechner of Congregation Emanu-El in Victoria had focused mostly on religious services and education. But that year, an Israeli mentor he’d known 15 years earlier paid him a surprise visit in a dream. Brechner wrote about his dream in his newsletter to synagogue members, hoping it would inspire the formation of a group of volunteers. It did. A social action group came together under the name Avodah, meaning work or service. Their goal was to put three main beliefs into action: to love thy neighbor as thyself, to repair the world and to commit to acts of loving kindness. 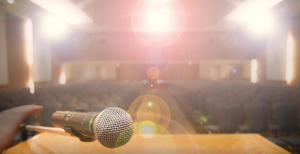 “Avodah is at the heart of being a holy congregation. There’s no being without doing and, through acts of loving kindness, we repair the world and transform our spiritual lives,” said Brechner. Their first goal was to find out how the group could be of useful, meaningful service. They approached local organizations, such as Our Place Society and Cool Aid, to find out what they needed and one immediate answer was socks. It turned out there was a dire shortage of clean socks among the homeless. Thus, the Sock Project began. The first shipment arrived in 2005, and Bloomfield and his team fully expected it to be a one-time donation. They were wrong; a great relationship had started. Another shipment arrived in 2006 and every year that followed. To date, Avodah has worked with 27 organizations across the community to distribute some 54,000 pairs of socks. The success of the Sock Project led to other efforts. The group began holding monthly birthday parties at Laurel House and Our Place Society, which provides assistance for the homeless, hungry and hurting. Every third Thursday, its members arrive with five buckets of ice cream and slab cakes, providing live music and birthday cards for those who have celebrated a birthday that month. “We’ve put on over 80 birthday parties, and there are usually a couple hundred people there,” said Penny Tennenhouse, Avodah’s chairperson. Avodah contributes to the Our Place annual Christmas party, and monthly to Laurel House. Avodah also has initiated a partnership with the YMCA Outreach Van and Out of the Rain Youth Night Shelter, providing hot meals for those in need. 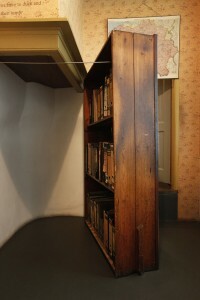 In 2010, they expanded their involvement, opening the synagogue’s doors so that youth could sleep in the synagogue’s social hall on cold nights between October and April, as well. The meal program has become a weekly event and the synagogue has offered a warm night’s sleep for about 20 youth each week. Another project, started in 2009, is a rent-supplement program to help families who are going through a crisis. 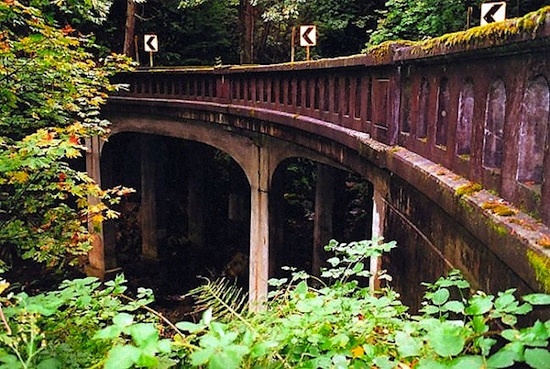 Five years ago, Avodah began collaborating with the Burnside Gorge Community Association by aiding one family with $120 per month. Today, Avodah is assisting three families with their rent, providing $360 a month. As of May 2014, Avodah had contributed $19,320 for 161 rent subsidies. “We’re trying to help with food, clothing and shelter,” said Tennenhouse, “but we also want to do what we can to help reduce poverty.” Avodah is a member of Faith in Action, an inter-faith group united by mutual concern for the poor and vulnerable in British Columbia, and dedicated to encouraging governments and community groups to address the root causes of poverty in the province. Avodah has received many requests to help other community groups implement their own social action initiatives. To this end, it has created a presentation (available at congregationemanuel.ca/avodah.html) that outlines the work Avodah members have performed and offers a 10-step program for organizing, delivering and sustaining a community social action program. 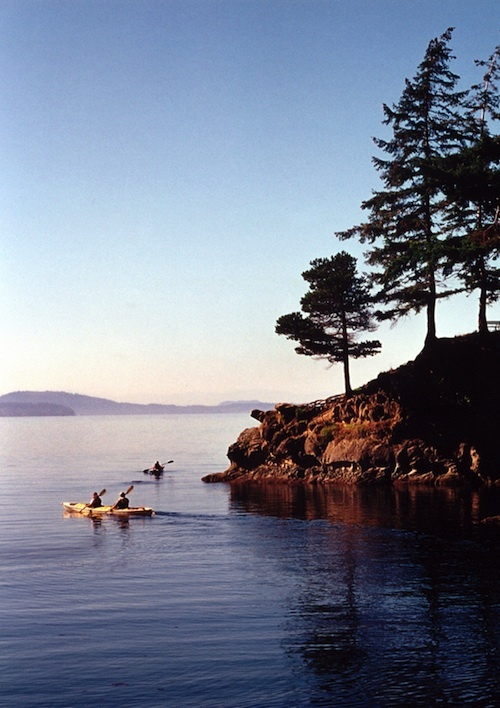 As summer begins to show its face in Vancouver, it’s time to replenish those supplies that keep us safe and entertained throughout the season. Here’s my list of five top “must haves” – or “would be really nice to haves” – for the sunny weather. Skin-safe swimwear: Made on Vancouver Island, Nozone Swimwear has a full range of cover-all swimsuits for kids that look great, are comfortable to wear and protect that sun-sensitive skin from ultraviolet rays. Best of all, they last forever. My daughter’s, a hand-me-down that goes back at least eight years, is showing no signs of wear and tear and remains a go-to favorite. From $30, they’re available at nozoneclothing.com or from select Vancouver retailers, including Crocodile (2156 West 4th Ave.), Duck Feet (1447 Marine Dr., West Vancouver) and Splash Swim and Cruise (2950 West 4th Ave.). Kiss My Face is non-greasy sunscreen. AquaSphere goggles won’t leave you with raccoon-like eyes after your swim. 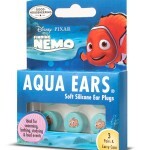 If your kids are remotely prone to swimmer’s ear, consider AquaEars. With Zoku Quick Pop Maker, it only takes seven minutes to make a popsicle. Sunscreen sans grease: There’s nothing like that greasy feeling you get when you’ve smeared sunscreen all over your skin. Kiss My Face is a non-greasy alternative in an easy-spray container. It’s gluten free, paraben free, phthalate free and contains no artificial fragrance, which means you won’t smell like an overripe coconut once it’s on your skin. 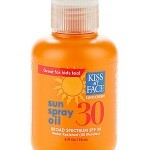 An eight-ounce spray bottle of SPF 30 sun spray lotion will set you back $16.49 online, at kissmyface.com. No-leak goggles: If you love swimming but hate the effect of chlorine or saltwater on the naked eye, you’ll want to invest in a pair of AquaSphere goggles. 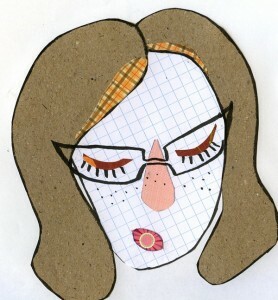 The company offers a wide range of designs to fit the faces of women, men and kids. Most offer 180-degree visibility, easy and quick strap adjustments and a leak-resistant Silicone skirt that does not leave you with raccoon-like eyes after your swim. At $25-$30, they’re a little pricier than generic brands, but the extra price is worth it because the goggles last longer, are supremely comfortable on the eyes and – get this! – keep the water out of your eyes. There’s more information at aquasphereswim.com or stores specializing in outdoor recreation. Ear protection: There’s nothing like the pit-of-the-stomach feeling you get when your kid announces painful ears. Swimmer’s ear claims many victims among children each summer and can be an extremely painful affliction, particularly when it occurs over the weekend when, inevitably, doctors’ offices are closed and hospital ER rooms are packed. If your kids are remotely prone to swimmer’s ear, consider investing in AquaEars: soft silicone, latex-free earplugs that are moldable to any size ear and appropriate for kids age three and up. They’re available in designs that include Hello Kitty, SpongeBob, Disney Cars and LittleMermaid. At cirrushealthcare.com, it’s $5.99 for a three-pair pack. Homemade popsicles: In my house, I can’t keep up with the demand for popsicles, since every time it’s sunny, someone gleefully declares, “Popsicle weather!” and heads to the freezer. 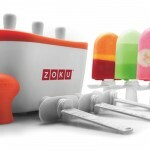 The Zoku Quick Pop Maker is a great alternative to store-bought popsicles. The device has a compact base that gets stored in the freezer when it’s not being used. When you want to use it, extract it from the freezer, put it on the countertop and wait seven minutes while it freezes ice pops quickly and without electricity. The kit includes six durable, reusable, plastic popsicle sticks, as well as drop guards. A perfect solution for healthy, homemade ice cream, yogurt or fruit-based popsicles. On zokuhome.com, you can order a maker for $49.95. In the months since Israel and the European Union officially signed their Open Skies travel agreement, providing all European and Israeli airlines with equal opportunities to launch direct service to and from Tel Aviv, a slew of airlines are already hard at work trying to expand their offerings. From legacy carriers including Lufthansa German Airlines to low-cost carriers such as Great Britain’s easyJet, new flights to and from Israel are popping up all over the grid. And Israeli airlines are also getting in on the action, with the country’s flagship carrier, El Al, announcing additional routes to Europe, as well as the launch of its own low-cost brand called Up, which was scheduled to begin service to European destinations this spring. Since her diary was first published in 1947, Anne Frank’s story has reached many millions of readers. Her precocious wisdom, her courage and her unswerving faith in the goodness of humanity are humbling. Many young readers encounter Anne’s work at school, as an introduction to their study of the Holocaust. Readers find a focus for their curiosity, grief and raw outrage in the fate of Anne and her family. But how do we ensure that this history truly is for “today”? And how do we help them make sense of a troubled world that has descended into horrifying chaos? These harsh lessons are currently being explored through Anne Frank – A History for Today, currently housed at the Vancouver Holocaust Education Centre. According to Nina Krieger, VHEC’s executive director, this exhibit has seen “unprecedented numbers” of visitors – of all ages and ethnic backgrounds – at the centre’s Sunday openings. There are visitors during the week, of course, as well as school groups who tour the exhibit under the guidance of the centre’s docents. In addition to the training docents receive from VHEC education director Adara Goldberg, this exhibit has been guided by the exhibit’s Amsterdam staff, who traveled to Vancouver to offer their support. The class group also included school parents, who were clearly invested in the day’s lessons. The presence of parents is extremely important, Langbroek explained, because students often need to talk through their reactions later on, not just in class or during the ride home. “It helps to have a facilitator at the dinner table,” he said. This was evident in the comments heard around the display cases, as mothers discussed their own questions. “Would you put your own family at risk?” one mom asked. When asked about his reasons for bringing his students to the exhibition, Langbroek explained that this is his 27th year in the classroom, and his reasons for doing so were spiritual – his is a Christian school – and personal, as well as professional. 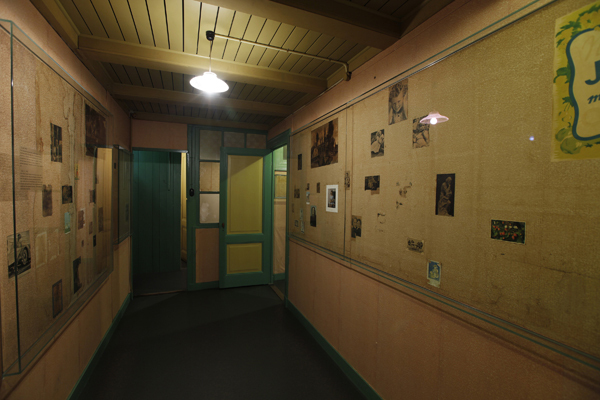 As well as the photographs and information on the boards, the exhibition room at the VHEC includes a 3-D model of the building and annex where the Franks were hidden. The students were clearly interested in the model and there was much crowding around, leaning in and craning of necks. Here, Kirchner honed in on the Franks’ living conditions, supported by a few trusted friends with shared food rations and occasional treats, like magazines. How do you occupy yourself when you are stuck inside for two years? she asked the students to consider. What about during the Allied bombing raids? Everyone else was hiding underground, in shelters, while Anne was in an attic at the top of a tall building. She couldn’t go down and risk being caught, noted Kirchner, but there were bombs landing all around them. The King’s School students clearly appreciated the artifacts. They were given copies of an identity document belonging to Regina Bulvik. Asked to interpret the information it carried, they learned that she was the sole survivor of the Holocaust in her family, and had traveled to Canada alone, with no papers. At that time, she was still a teenager and was required to have a Jewish sponsor family here before being allowed to immigrate. The students pored over this document, scrutinizing it carefully as they responded to Kirchner’s questions. On returning to school, the students’ comments about the exhibit were telling. They spoke about justice, love and kindness. They showed gratitude for their freedoms and their desire to live well with God. For these students, the exhibition is about prejudice and intolerance. It’s about standing up for – rather than judging or bullying – those we perceive to be different than ourselves. It’s about suffering through harsh lessons and still making dignified, compassionate choices. Anne Frank – A History for Today is at the Vancouver Holocaust Education Centre, 50-950 West 41st Ave., until July 31, Mon-Thurs, 9 a.m.-5 p.m., and Fri, 9 a.m.-4 p.m.